Intel Core i5-8400 – After months of endless AMD praise, Jarred Walton finally has some good news for Intel and the Blue processor team. Coffee Lake is the biggest generational improvement in Intel’s mainstream CPU line since the mainstream/enthusiast split, which occurred with the first- generation Core i7 in 2010. Core i7 and Core i5 both get 50 percent more cores/threads. without a drop in clock speeds, and Core i3 basically takes the previous generation Core i5’s place as a 4C4T part. Before rushing out and buying a Core i5-8400 be aware that Coffee Lake processors require a new motherboard and a 300-series chipset. Right now. that means the high-end Z370. This is because of modified power requirements on Coffee Lake As for the Z370 chipset, in terms of features and functionality it appears to be identical to Z270 – just with some updated microcode that only recognizes Coffee Lake processors. Take your existing Core i5 processors and add 50 per cent more cores, and what does that give you? For games that already hit maximum performance on an i5-7600K. it won’t do much, but there are an increasing number of games that will show small to moderate gains with more cores and/or threads. Generally speaking, Hyper- Threading on an Intel CPU core gives you about a 20-30 per cent boost in potential throughput, so having six full cores running six threads is actually going to be faster than four cores and eight threads – at least at the same clock speed. In the overall average gaming performance metric, the ‘budget’ Coffee Lake i5-8400 ends up beating the former champion i7-7700K. Behold the Core i5-8400 processor’s die, in all its glory. It has ‘bargain’ written all over it (as well as ‘Intel’). Practically speaking, most gamers wouldn’t notice any difference between any of the various Core i5 and Core i7 processors for gaming purposes, even with a GTX 1080 Ti. With a more modest GPU and or a higher resolution, the six-core Ryzen 5 and 8-core Ryzen 7 are also right in the mix with Core i5/i7. They’re rarely, if ever, faster in games, but most of the time the difference isn’t going to be felt so much as imagined. How does the i5 Coffee Lake fare in CPU-intensive workloads? This time the newcomer i5 falls just behind the i7-7700K. mostly influenced by tests where the i7’s higher clock speed comes into play. The i5-8400 fells behind in Cinebench lT by 16 percent, and four per cent in the Cinebench nT test Video encoding is a tie. with a slight lead for the i5-8400 in x264’s more demanding second pass. VeraCrypt favors the i5. Looking at other comparisons, the i5-8400 also fells behind the Ryzen 7 processors in most tests, as well as falling slightly behind the Ryzen 5 1600X. The Ryzen 5 1600 is the inflection point, with the i5-8400 taking back the overall lead, and by the time we get to the 4C8T Ryzen 5 parts the i5-8400 leads in every test. AMD with its B350 boards: X370 AM4 boards end up being very similar in price to the Z370 boards. Prior to Coffee Lake. Intel’s Core i5 processors were always a bit of a compromise, you had to give up some multi-threaded performance. That’s still true to an extent, but by finally moving beyond quad-core Intel makes up for many of the i5’s shortcomings. 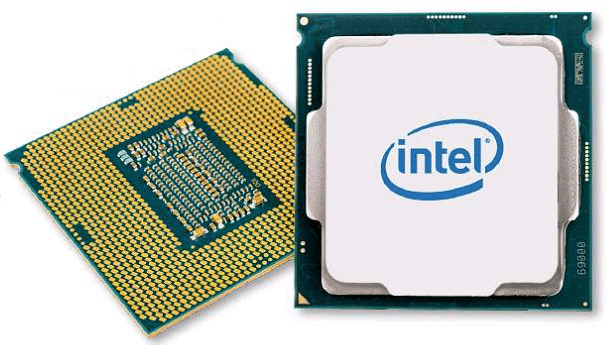 Relative to the previous generation i7-7700K, the i5-8400 offers similar performance. It’s a bit faster in gaming tests, a bit slower in overall application performance, but crucially it costs about half as much. There are now three primary candidates in the CPU market: Core i5-8400. Ryzen 5 1600, and Ryzen 5 1600X. For gaming purposes. Core i5-8400 is the way to go. delivering 25-35 per cent better performance than the Ryzen 5 parts. Clearly, the Core i5-8400 the best overall processor in the mainstream market. 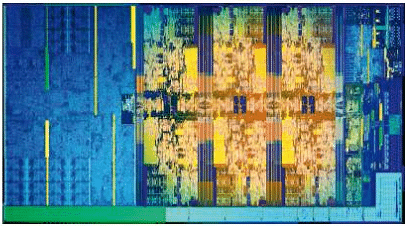 » Even with a locked multiplier, the i5-8400 delivers awesome performance.